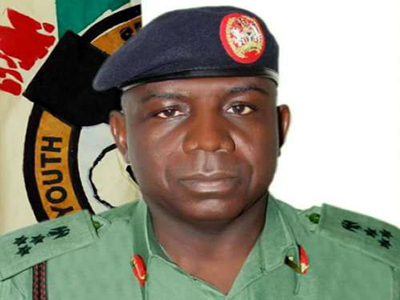 THE Director General of National Youth Service Corps (NYSC), Brig.-Gen. Suleiman Kazaure, has warned corps members to stay away from politicians during the upcoming general elections. Kazaure who was represented by a Director in the scheme, Hajiya Fadima Mohammed, gave the warning at a sensitisation workshop organised for corps members on Wednesday in Kano. He said the warning became necessary so that members of the corps would not be induced with money by the politicians. The director-general charged them to be transparent and neutral before, during and after the elections. “You are expected to handle this National assignment with a high sense of patriotism, responsibility and integrity as the INEC ad-hoc staff,“he said. In his address, the NYSC Coordinator in Kano, Alhaji Ladan Baba, assured the corps members that the scheme , INEC and all the security agencies were doing everything possible to ensure their safety and welfare. He called on the ad-hoc staff, especially the Presiding officers, to take full charge of the polling units and should not allow anyone make a decision for them except the INEC officials. “We have also signed a Memorandum of Understanding (MoU with the Kano Chapter of the National Union of Road Transport Workers (NURTW) to provide vehicles to convey election materials and officials to all wards,“he said. He said the commission would ensure that the welfare of ad hoc staff and their allowances were paid immediately after the elections.